“Julia Reed’s South: Spirited Entertaining and High-Style Fun All Year Long|! !|” by Julia Reed|! !| Rizzoli New York|! !| 2016. Images from “Julia Reed’s South: Spirited Entertaining and High-Style Fun All Year Long|! !|” by Paul Costello. No one is likely to argue that Martha Stewart has earned her place as America’s party hostess supreme and dining and design doyenne. It’s fair to say however that while much of Stewart’s entertaining advice and skill is universal, in the South, we tend to veer toward someone familiar with the region’s culture and customs, and who can relate to unwelcome party guests such as mosquitos, humidity and hurricanes — the weather system, not the beverage. Enter New Orleans-based writer Julia Reed. Author of five books, contributing editor at Garden & Gun and Elle Décor, as well as a contributor to the Wall Street Journal and columnist for Southern Living and and countless other heavy-hitting publications, Reed is fast becoming this Southerner’s go-to gal for all things entertaining. Originally from Greenville, Mississippi, Reed’s Southern roots are deep and as a former political reporter and Newsweek alum, her journalistic credibility is more than solid. Since the 2007 release of “The House on First Street: My New Orleans Story,” which New Orleans residents are likely most familiar with, Reed’s books have focused on either design or entertaining and are often served with a healthy and humorous helping of her cleverly crafted essays. The May release of her latest book however, combines the food, fun, entertaining, décor and, of course, masterful storytelling, all in one place in Reed’s signature high-low Southern style. 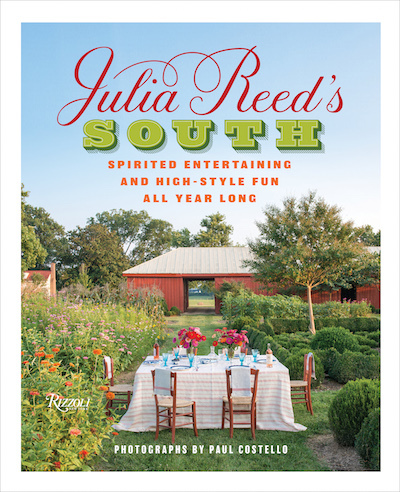 “Julia Reed’s South: Spirited Entertaining and High-Style Fun All Year Long,” is a gorgeously packaged, 224-page tome, with 150 envy- and hunger-inducing photos by photographer Paul Costello. The stories are keenly knitted with a journalist’s attention to color, detail, history, fact and conciseness and center on parties for 11 different seasonal occasions. Reed sets the scene, offers up the menu, recipes, cocktail and wine pairings, as well as notes on everything from table settings to playlists. From a sandbar picnic in Mississippi and citrus laden Christmas cocktail supper in New Orleans to formal dinners for Visiting Dignitaries (or those who are “Very Dear,” she writes) and lovely spring luncheons al fresco, Reed invites us into her life, introduces us to a list of her talented friends — including chefs, writers, artists and designers — and, most importantly, delivers a stellar source list, worth well over the $50 price tag on the book. The recipe list is comprehensive and includes appetizers and desserts, simple Southern staples, such as fried chicken, as well as Creole favorites like shrimp rémoulade and more elevated cuisine, including a delectable roasted boneless leg of lamb with herbs. Martha would approve, no? Reed will discuss and sign the book on May 3 from 6 to 7:30 p.m. at Garden District Book Shop, 2727 Prytania St., www.gardendistrictbookshop.com. 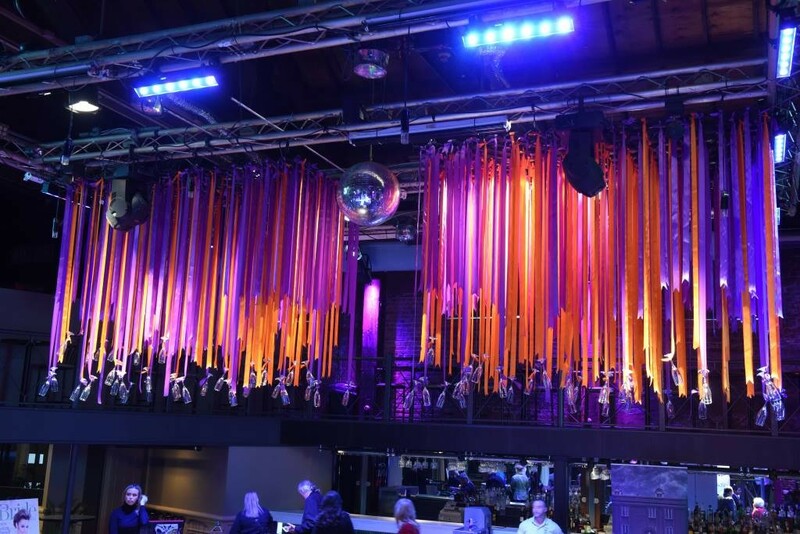 Visit the Bon Vivant blog on May 4, for my interview with Reed.